ChassisSim is available through the Altair Partner Alliance. 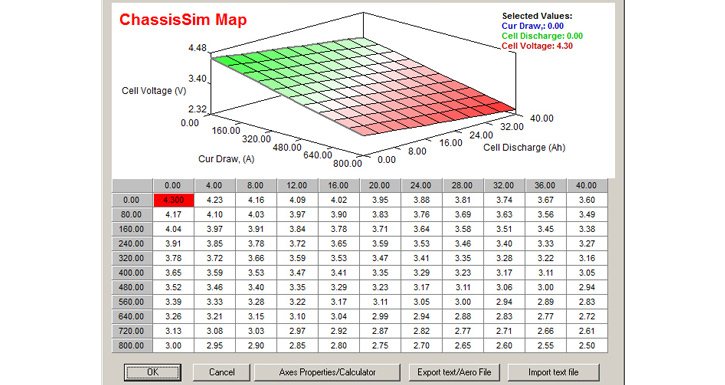 ChassisSim is a fully transient multibody vehicle dynamics simulation software that covers lap times, shaker rig, and driver in the loop. 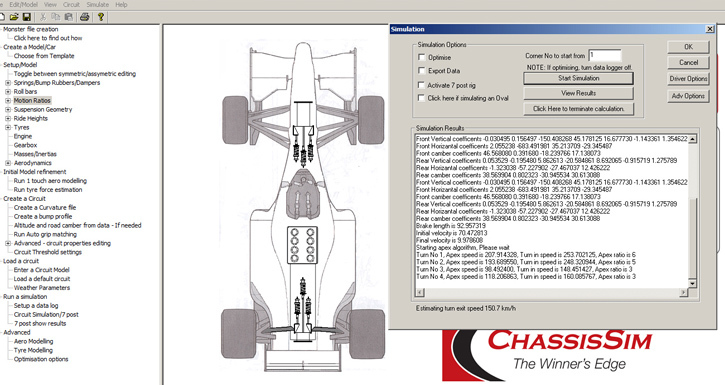 ChassisSim can export data from multiple data analyses platforms and offers the ability to reverse engineer vehicle parameters such as tires, downforce and track properties. 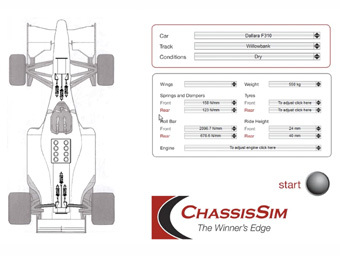 As the cost of competing in motorsport continues to climb, ChassisSim allows you to do all the testing you want, for absolutely no cost except your own time. Unlike most of its competitors, ChassisSim works by driving the car to its absolute capacity. It’s like the perfect driver is piloting your chassis, ensuring you get the absolute most out of your vehicle. In this way, it also functions as the ultimate driver training tool; drivers will know exactly where to brake, turn in and apply the throttle. 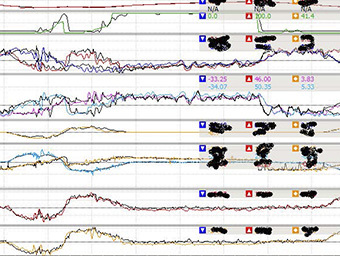 It will show where those precious tenths of a second can be gained, as well as quickly revealing the effect of any setup changes on the car’s performance. 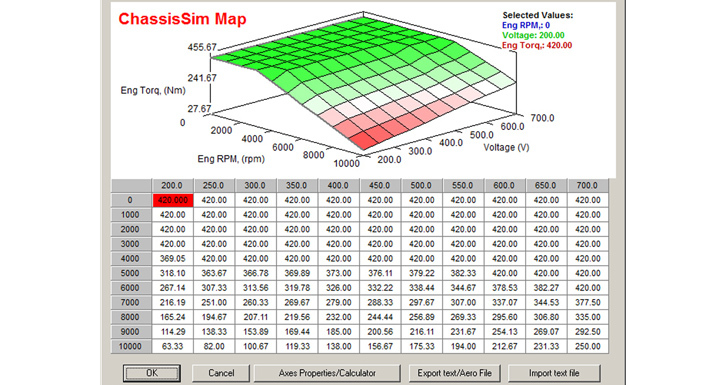 ChassisSim isn't just another race car simulation package that only produces lap time predictions and data outputs. 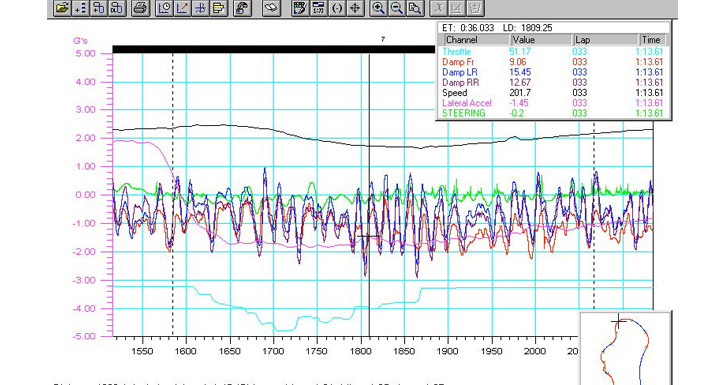 ChassisSim has a complete range of toolboxes that you can add to accurately test every component of the car that affects its performance - anti roll bars, shock absorbers, ride heights, gear ratios, engine power, wings etc. 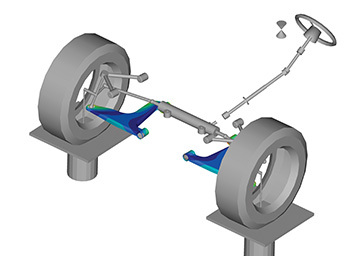 ChassisSim is one of the world’s most advanced and accurate vehicle simulation packages, widely used in motorsport, race engineering and vehicle dynamics engineering applications. 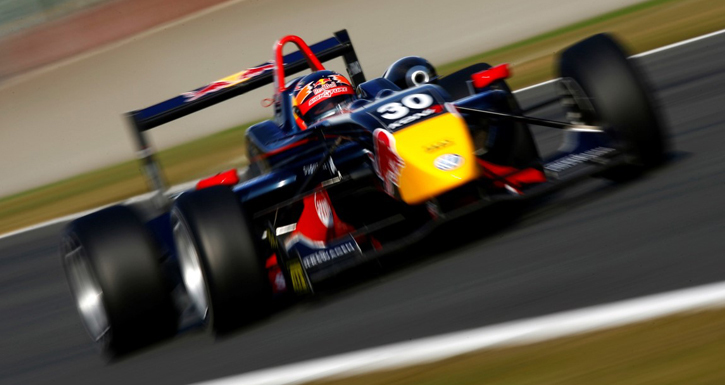 ChassisSim has been used in categories as diverse as IndyCar, sports cars (LeMans and the United Sports Car Championship), F3, GP2, FIA GT, German DTM, FIA GT and Australian V8 Supercars.